Continental plans to expand its "Taraxagum – tires from dandelion rubber" project, in collaboration with the IME Fraunhofer Institute, Münster, the Julius Kühn Institute, Quedlinburg, and the ESKUSA plant breeding experts, Parkstetten, with a research facility for industrializing the cultivation and processing of dandelion rubber, Taraxagum. Today, the project plan was presented in Anklam (Mecklenburg-Western Pomerania). Continental plans to invest approximately €35 million in the first project phase at the "Taraxagum Lab Anklam" research facility. This will create around 20 new jobs in the city in the north east of Germany, which has a population of around 12,700. "The construction of the Taraxagum Lab Anklam is part of the consistent implementation of our long-term growth strategy, 'Vision 2025', which involves huge investments in our manufacturing and research capacities", said Burkhardt Köller, Chairman of the Management Board of Continental Reifen Deutschland GmbH and head of Controlling in the Tire division at Continental, during the project presentation. "In the last five years, we have invested more than €3 billion in building new plants and expanding the capacity of our existing plants worldwide. What's more, our unique Automated Indoor Braking Analyzer (AIBA) at our Contidrom proving ground and the High Performance Technology Center (HPTC) in Korbach, which opened in June, are demonstrating the continuous further intensification of our technological focus. With the new research facility in Anklam we want to show that we are also adopting innovative and sustainable approaches in the field of raw materials. After careful consideration, we chose Anklam as the location for our new facility based on the conditions and opportunities it offered and we would like to thank the people of Mecklenburg-Western Pomerania as well as Anklams Regional-Investment Corporation for their professional support." 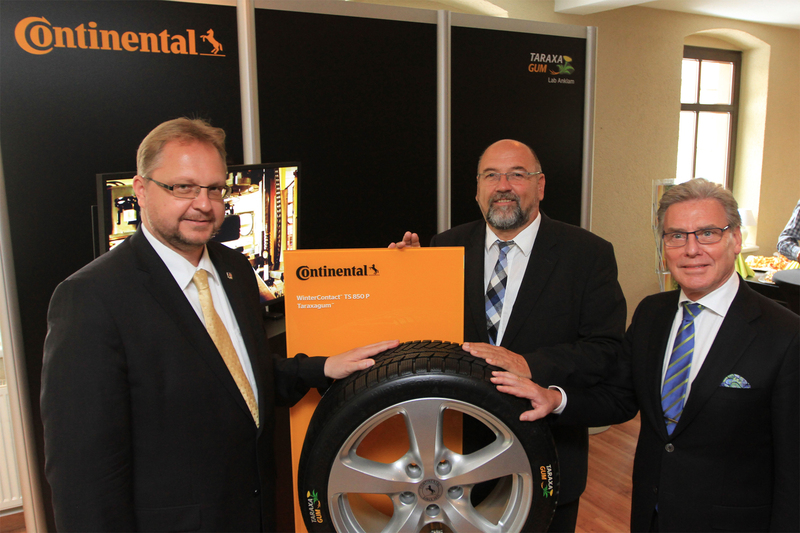 "With the Taraxagum Lab Anklam we have now reached a milestone in the 'Taraxagum – tires from dandelion rubber' project", explains Dr. Andreas Topp, head of material and process development as well as industrialization for Tires at Continental. "This exciting project has already developed at a promising rate. A small series of Taraxagum test tires with tread made from pure dandelion rubber was tested against conventional tires made from natural rubber from the hevea brasiliensis rubber tree and the results were extremely positive. Now we want to drive forward the economical production of Taraxagum, and with the new research facility in Anklam we are laying the foundations for this." 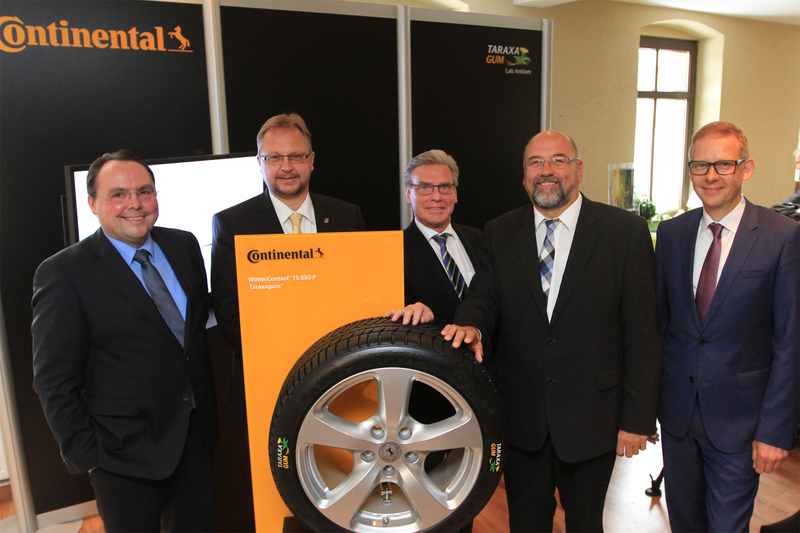 Continental began work on the development of "Taraxagum" in collaboration with the IME Fraunhofer Institute, Münster, the Julius Kühn Institute, Quedlinburg, and plant breeding company ESKUSA, Parkstetten, around five years ago. 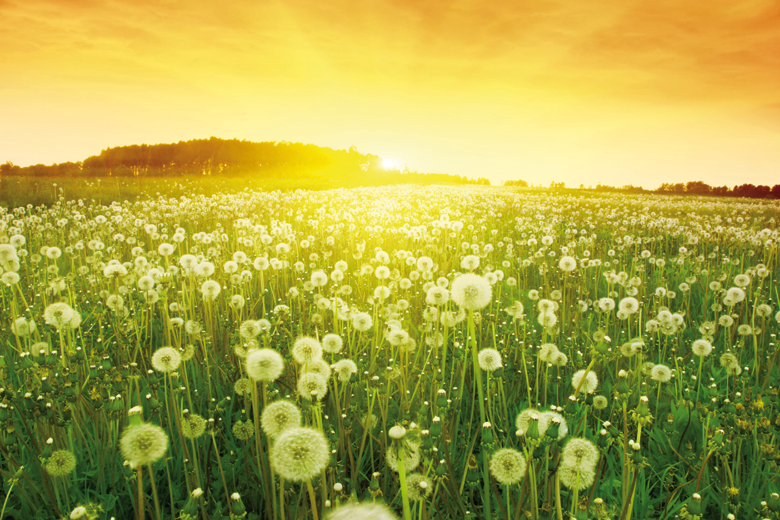 Russian dandelion was cultivated in such a way that it could be produced in greater quantities than the traditional rubber trees from the tropics. New process and production methods were also developed in order to produce the natural rubber used in the production of tires and other rubber products from the latex sap of the plant roots. In the first experiments, Continental produced passenger car winter tires and engine mounts from the "Taraxagum" rubber. The plants can also be cultivated in Northern and Western Europe, which makes transportation routes to the European production sites much shorter and contributes to the sustainable and socially viable use of existing resources. The institutes and companies involved in the project have already received internationally recognized prizes and awards for the advances they have made. In 2014, for example, the project received the "Green Tec Award", and in 2015 it was awarded the Joseph von Fraunhofer prize from the Fraunhofer Society. Further information is available under www.taraxagum.com.